NBA star Stephen Curry finished 154th out of 154 golfers on Friday at the Ellie Mae Classic and missed the cut for the second consecutive year. 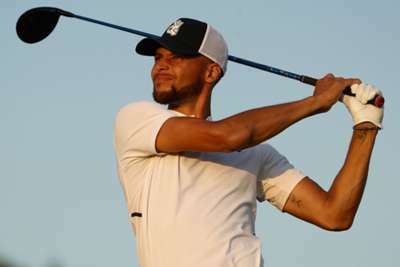 Despite his disappointing performance on the course, Golden State Warriors player Curry did not leave without making his mark on the Web.com Tour. Curry announced he would be donating $25,000 to fellow golfer and Web.com Tour member Scott Harrington and his wife, Jenn, who is battling Hodgkin Lymphoma. The donation was made via the Ayesha and Stephen Curry Foundation, according to Sports Illustrated. "When it came to my participation this year, I was made aware of Scott Harrington, who is a professional on the Web.com Tour, that has taken a leave to be with his wife who is battling cancer," Curry said. "This is an opportunity for me, obviously there are no word — I can't put into words, the thoughts and feelings around what their family is going through. But as I come out here and play with these professionals, it's about raising their notoriety in terms of the game of golf. "And a guy, Scott Harrington, who's not out here right now, I had a chance to talk to him on the phone this morning and let him know, as part of my participation in the tournament this year, the Ellie Mae Classic, that I was going to donate $25,000 to the GoFundMe page that's there to support his family as his wife is battling." The Ellie Mae Classic also donated $15,000, Curry added. 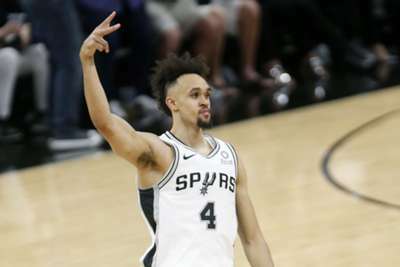 "We encourage anybody who's a fan of the game, and who appreciated what these guys do every day, to go to his GoFundMe page as well, and donate what you can to help them get through the tough time," Curry said. The GoFundMe page titled, 'Scott and Jenn Harrington Fund,' has already raised over $98,000.